petitie: Insurance Companies Must Stop Swindling CA Wildfire Victims! Insurance Companies Must Stop Swindling CA Wildfire Victims! 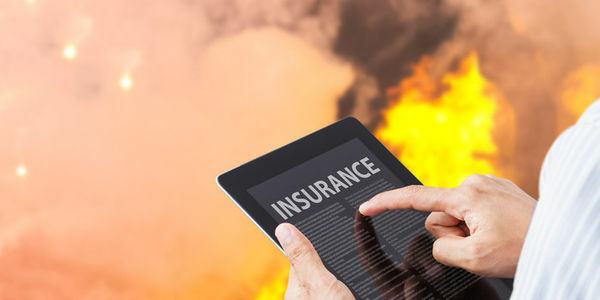 The California Wildfires of 2017 proved to be one of the most devastating statewide disasters, and many homeowners found out too late that their homes and belongings were grossly underinsured. Thousands have lost everything: their homes, vehicles, lifelong belongings. The fact that a vast majority of victims were underinsured is a crisis that must be addressed; especially when it's projected that there will be a shortage of billions of dollars in insurance coverage in California! When people get their homes insured, the insurance companies typically fill in a random "computer generated" value with little to no regard to the local markets and how much it will cost to actually rebuild if necessary. Since these random "computer generated" values are oftentimes outdated and generalized for large areas, many homeowners have ended up with unbearable insurance gaps. The sickening thing is that the insurance companies KNOW that these base values are way too low yet they keep filling them in for homeowners. This saves insurance companies BILLIONS of dollars when they have to pay out when damages do occur. Essentially, insurance companies knowingly underinsured and misled customers who now have nothing due to this natural disaster. Sign my petition to ask Dave Jonas, State Insurance Commissioner of California to make it so the insurance companies MUST put in correct values on insurance claims and STOP INSURANCE COMPANIES FROM SWINDLING HOME OWNERS. To make even more money off innocent people, many insurance companies offer additional plans such as "Coverage Gap Protection" and "Extended Coverage Protection" in the event that the outdated computer generated base number falls short. I grew up in Santa Rosa and it is painful to see that many of my friends were underinsured when their houses burned down. This has been a devastating year for every victim and our community. It will be so much worse if my friends and neighbors have to walk away from their lots, HOMELESS! Dave Jones who is the State Insurance Commissioner of California, said that his hands are tied because the State Legislature has not passed legislation mandating a true market value replacement cost estimate be provided to homeowners when they insure their homes. Over 8,400 structures have been burned down in 2017. Something must be done for all of these victims - sign on to help today!